Ahh… the many Joys of living in paradise! 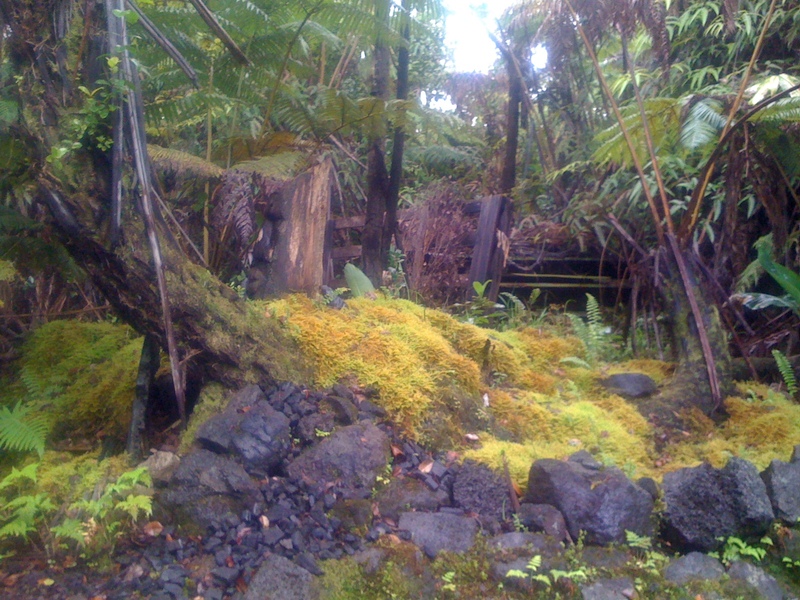 This week I’m sharing with you my magical mystical journey into the Volcano rainforest region of Moku o Keawe aka The Big Island of Hawaii. 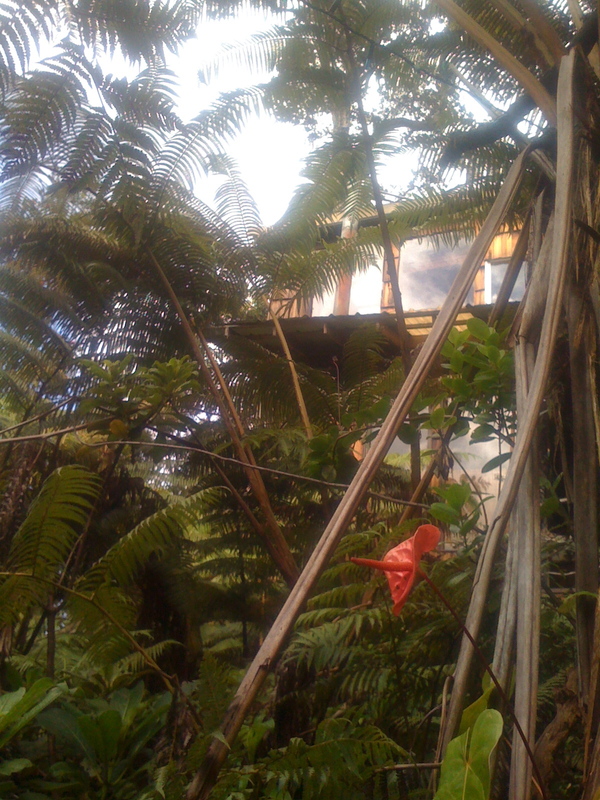 My friend and master painter Rod Cameron invited me and several other local artists to paint at a spot I hadn’t been before, the Hawaii Volcano Treehouse! 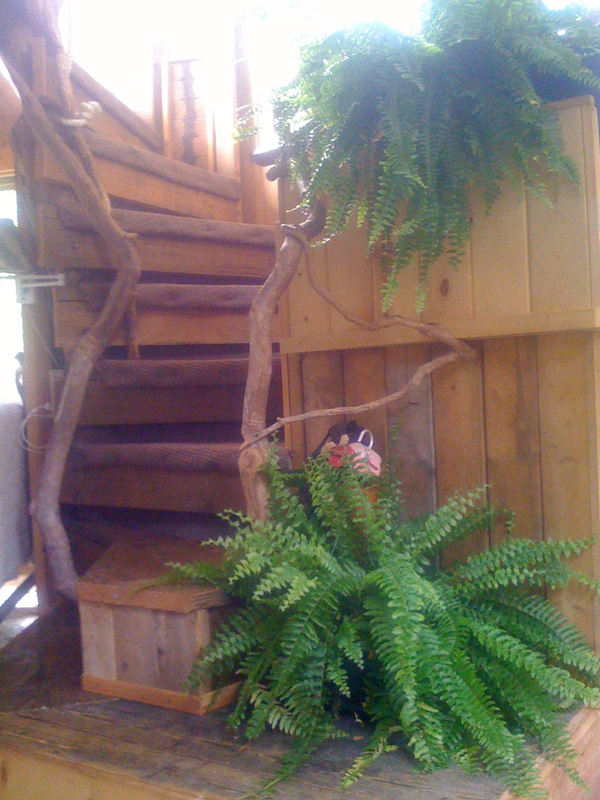 I arrived before the other artists did and wandered along the property. 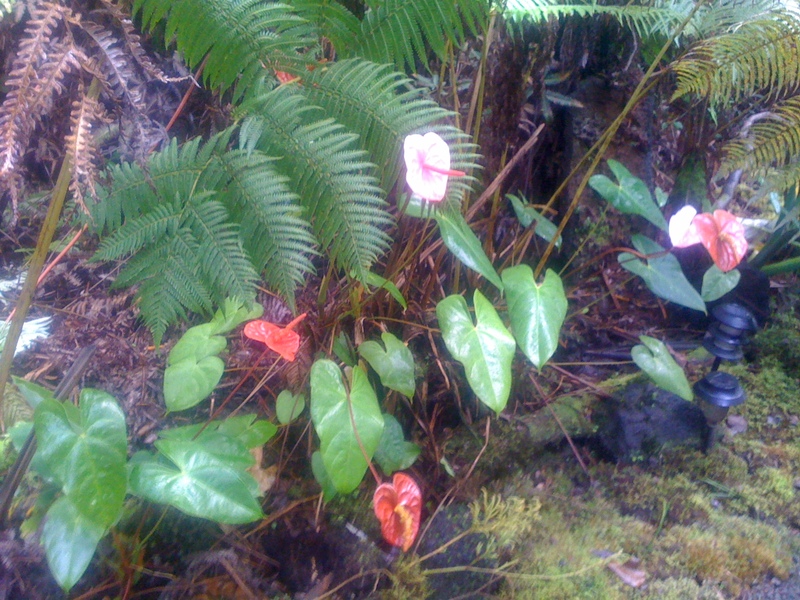 Waxy pink and red heart-shaped anthuriums, soft mossy nooks and crunchy lava gravel lined the meandering pathway leading me up to the Treehouse. Soon after I reached the structure, Skye, the talented artist-architect-builder and owner of the property came to introduce himself. I immediately expressed my appreciation for the beauty of the land as well as the craftsmanship and resourcefulness of his Treehouse design. Skye’s creative Brilliance is evident in his custom handiwork that honors the Spirit of ka ‘aina and showcases our native Ohi’a Lehua trees in all their glory. The vista I chose to paint (in all oils, a first for me!) 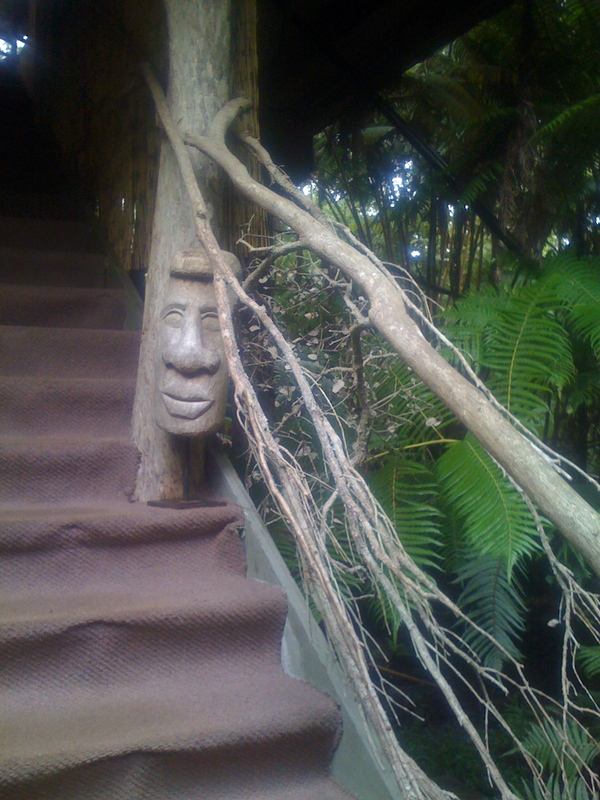 has one of Skye’s wonderful Tiki sculptures in it – can you find it hidden in the photo below? I love art from found and natural objects and the masterpiece of the Treehouse and it’s surrounding environment overflowed with inspiration!